The times are a-changing and the rise of e-readers - and in particular the Amazon Kindle - has brought a new way of reading books. 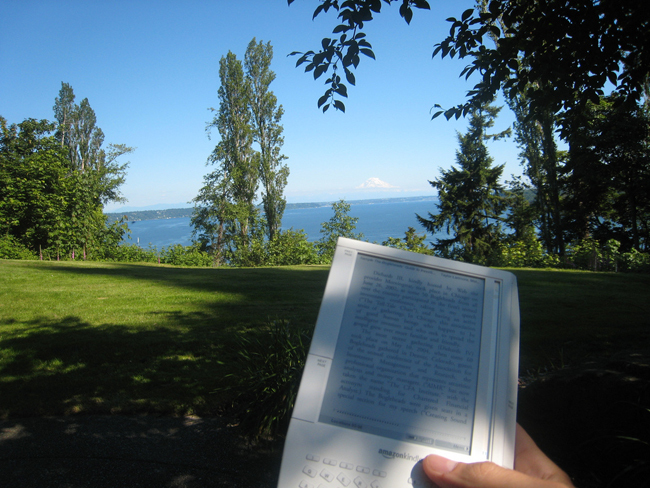 In contrast to some other genres, the walking and outdoor publishing community has been a bit slow on taking up making books available on the Kindle - or across devices like the iPad and Android tablets - but that is changing, and I've got a few of the best ones I've found here on our blog. An area of England with an amazing amount of walks - and sadly very much overlooked is Warwickshire & West Midlands - was is why Richard Sale's book 100 Walks in Warwickshire & West Midlands is included here. The walking territory in these two central counties remains largely undiscovered, better known, as they are for their towns and cities such as Stratford and Leamington. Those willing to find out, however, will discover some wonderful countryside, and some surprisingly varied routes. It's quite an old book - originally printed in 1996 - but the walks contained within are among the best in the area. The maps are line drawings, not OS ones - but they are very clear and easy to read, with plenty of places of interest noted on each walk. As our good friend Tanya Oliver pointed out in the sixth edition of the Walks Around Britain podcast, Sussex is a great country to walk around - and Richard Williamson's book 52 Favourite West Sussex Walks has a great selection in it. Richard Williamson’s weekly walking column has long been one of the most popular features in the Chichester Observer, Worthing Observer and West Sussex Gazette, and for the first time he has compiled his favourite walks – one for every week of the year – with hand-drawn route maps. Many here to to tempt you out onto the unspoiled nature of the timeless South Downs landscape and its varied flora, fauna and stories – from bat-birds and the Devil’s Jumps to beloved pubs and famous poets – combine with practical notes on routes that can be covered easily in an afternoon. 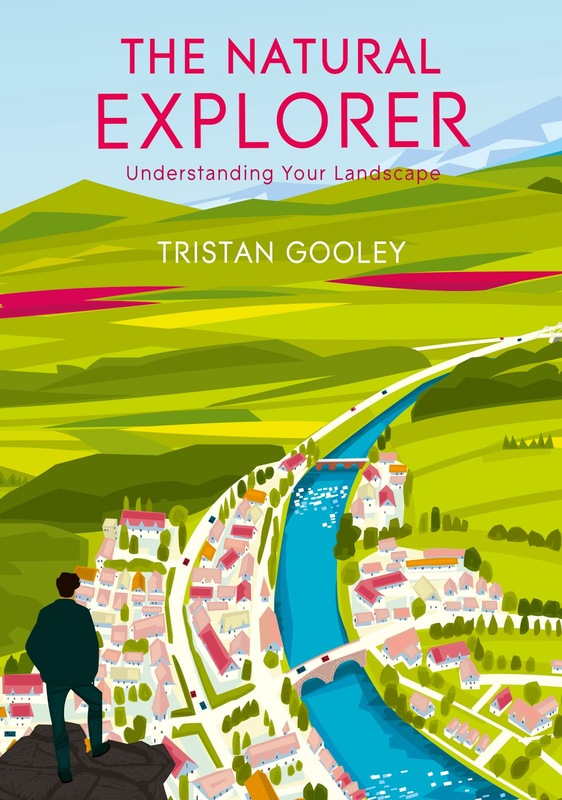 Although it's not a walking route book, but Tristan Gooley's latest book The Natural Explorer: Understanding Your Landscape: In Search of the Extraordinary Journey is certainly worth a mention here. You wont find a map in this book, but you will learn how to read, understand and connect with the landscape. I've got a review on this book on this blog soon, so I'm not revealing too much here, but I can tell you it's a cracking read. And the best bit is that the Kindle edition is onnly £4.99 - saving nearly a massive £6 of the hardback price! Tristan was on the Walks Around Britain podcast in May - here's the podcast along with the Show Notes on this blog. Tripping North of the Border to the fabulous Isle of Skye, and the famous outdoor author Terry Marsh has written possibly the definitive book on walking and hiking on the island - The Isle of Skye: A Walker's Guide. 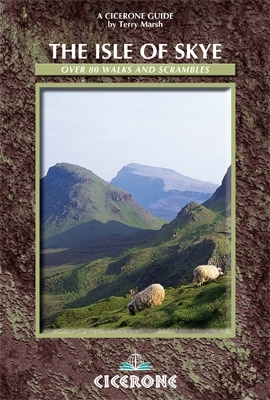 Most people are drawn to the island for the Cuillin, but there is more to Skye - and this book has 87 walks and scrambles. The Isle of Skye has some of the most awe-inspiring scenery of Scotland's many islands. The walks are widely varied, and provide something for all abilities to enjoy. The guide is one of the famous Cicerone walking books, who are more than half way through converting their epic collection of titles to electronic formats - and this is an e-book which benefits from using a Kindle app on a smartphone or on a computer, as it is in full colour. And lastly, this very blog is available on the Kindle as well on a monthly subscription. Edition 15 of the Walks Around Britain podcast features a walk to the top of Mam Tor with author Peter Naldrett, the inspiration behind the photography of Holmfirth based Andy Leader, what the least known National Park of Exmoor has to offer us walkers and "Costing The Earth"'s Tom Heap on the rise of nettles and brambles in our countryside. Author Peter Naldrett (left) takes us on a walk up The Shivering Mountain - Mam Tor in the Dark Park part of the Peak District. Mam Tor is 517 metres - that's 1,696 feet - high hill near Castleton. It's name means "mother hill", and it is thought that is because of the frequent landslips on its eastern face, which have resulted in a multitude of 'mini-hills' beneath it. These landslips, which are caused by unstable lower layers of shale, also give the hill its alternative name of Shivering Mountain. Find out more about Peter and his books at his website here. Andy Leader (right) was interviewed by Andrew whilst he was setting up his section of the Sheffield Adventure Film Festival's Photography Exhibition. The exhibition, which is being held in the Workstation - next door to the Showroom Ciniema in Sheffield - is the largest in the Festivals' eight years and this year was helped by MyOutdoors, the online outdoor news and reviews magazine. Andy told of his passion for the "sour" scenes of the Pennines around Holmfirth, Marsden and the Dark Peak. Sour they may be, but Andy's photography draws out elements of the landscape previously unseen. You can find out more about Andy's photography, and his Peaty Feet Walks, at his website Made In Holmfirth. 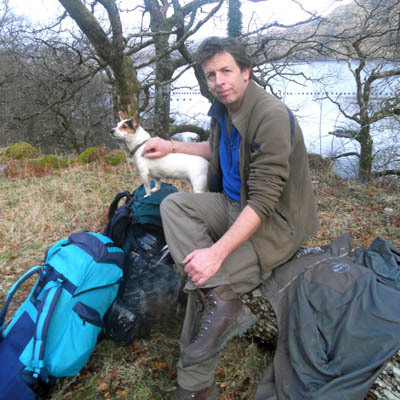 With the Walks Around Britain team's forthcoming visit to Exmoor, Andrew chatted to Rosi Davis of our hosts Exmoor House, and Rosi Davis told us of the walking delights on offer. Exmoor House offers the homeliness of a bed and breakfast with the comfort of a small country hotel. The guest accommodation is in three twin/double bedrooms (can be either twins or doubles), a double bedroom and a family room. All five rooms are en suite, either with bath or shower. The house, in Exmoor's highest village, is full of character and has an unusual history - it was built in Edwardian times for a local tailor. 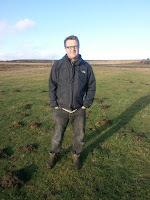 For more information about walks in the area of Exmoor House, visit their website here. And we'll have the resulting video walk promoting the North Devon and Exmoor Walking Festival here on the Show Notes as soon as it is made, along with photos too. 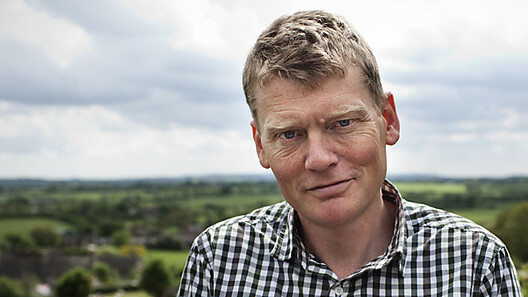 Tom Heap (right), from BBC Radio 4's Costing The Earth came on the podcast to talk about an edition of the series he presented which focused on the apparent increase of invasive species such as nettles and brambles in our countryside. It seems that far from unsubstantiated anacdotal views, there is a great deal of evidence and research behind the rise of these countryside bullies of plants. 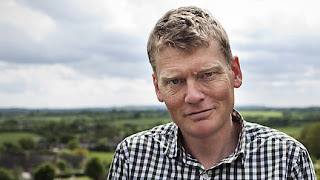 Tom explains the basic facts on our podcast, but for the complete picture listen to the full edition "When Nettles Attack" from Costing The Earth on the BBC Radio 4 website. This edition commemorates the first birthday of the Walks Around Britain podcast. Now on edition 15, if you've got any comments or suggestions about what we do - or what we could do - please leave a comment below.